It’s hard to enjoy a weekend ski trip in beautiful Big Sky, Montana when my post about the YouTube video has caused so much consternation. The article has been viewed over 11K times at this point, there’s an email thread among audio journalists and cable makers, and William Low (AQ CEO) posted an open letter on Stereophile’s website addressing the issue. I wrote a personal email to him this morning and have traded a couple additional emails. A quick review of the comments at the Stereophile site shows that some readers understand the issues at hand and others want to engage in the endless debate about the virtues of expensive cables. And they missed point. This “incident” involves the falsifying of information in a YT video produced by Home Entertainment by D-Tronics (the store in Texas which created and posted the video), presented by an employee of AudioQuest (David Ellington), with post production handled by Pollux Castor in Texas. The relevant questions are who doctored the video, who directed them to modify the audio streams, and who was ultimately responsible for it. These are the important questions. And it seems that despite a series of questions and phone calls from the AQ CEO, the needed information is proving difficult to obtain. My insistence that the YT video is fraudulent still stands. But the door has opened on whether AQ knew about the video falsehoods, when they knew it, and what they did about it when they learned there might be problems with the information presented. So more information is needed. Bill seems intent on getting to the bottom of the issue. He told me that he cannot confirm my finding because the offending video has been taken down from YT…twice. Of course, I still have it. I pulled the video down from the YouTube site and then exported the audio. I made no modifications whatsoever to the source video and its audio stream. I have offered to make it available to AQ for independent verification. Of course, this means that the audio community will have to trust that I wouldn’t change the audio soundtrack to align with my findings. Despite some rather unkind assertions in a string of emails, I stand by everything that I have written on this site. I don’t lie and I don’t play fast and loose with the facts. I do admit to having strong positions. I have biases and I have no problem peeling back the curtain on some of the silliness associated with our audiophile hobby. It would be preferable for AQ to get the source video and audio from the post production house. Home Entertainment was the client in the development of the video and as such they own the finished video. And they should demand copies of the original files from the post production house. If they fail, I’m willing to post the original YT source. This seems a reasonable next step. I’ll be back in Los Angeles on Monday and provide an update. I have absolutely no doubt that my findings will be be confirmed. For those of you who managed to hear the audio examples prior to their removal, the differences in audio fidelity were immediately obvious. Digital cables don’t cause those kinds of changes. In case you hadn’t heard it, amirm of whatsbestforum apparently got the video while it was still up, measured it, and came up with the exact same results as you. The stuff is hitting the fan all over the net and IHMO AQ is spinning like a top trying to figure out ways to cover this up, blame someone else, find any way possible to duck responsibility for the bogus video. Also the cable cult folks are closing ranks with responses to the effect that, “it doesn’t matter what the truth is, we hear the differences in the cables so thats all that counts”. And in the end that’s where it will probably end, the truth of who and how will be whitewashed as much as possible so as not to hold AQ responsible. and the cable cultist will ignore the results. The best overall result is that the snake-oil peddlers will start to be a lot more careful with their published claims. Thanks Mark for shining the light on another blatant case of misrepresentation. Thanks Sal, I hadn’t heard that yet. It’s not just the cable companies that are reacting…the audio press has already started attacking the messenger rather than take responsibility. But I’m around the net a bit and do see some shining lights. Not everyone is biting the company line and are starting to ask questions and watching AQ’s moves like a hawk. All the while Stephen Mejias (now of AQ) tried to support Robert Bairds no class trashing of the Eagles as a eulogy to Glenn Freys death. For the most part the readers have eaten them both alive for being the ——- they both were. Also the cable cult folks are closing ranks with responses to the effect that, “it doesn’t matter what the truth is, we hear the differences in the cables so thats all that counts”. It’s quite simple; If you get caught doing ‘insider trading’ the authorities are not in the slightest interested whether you made money on it or lost. If you broke the rules, you broke the rules, that’s it. And AQ broke the rules big time. Whether their cables are any good or not is a non issue in this saga. That’s just a way to distract from the fact. And the fact is, Someone from AQ has set up a scam and AQ as a company was happy to go along with it. Bill Low mentioned that he himself was surprised with the ‘unbelievable’ impact of his cables in the video. If he has actually listened to his own cables and can’t even come to the conclusion that there’s no way his (or any other digital) cables can make such a difference to sound quality then he’s not just not listening properly to his cables, he’s making stuff up when he sells them. Or he’s just the optimistic sucker he says he was…along with his clients? FTC needs to go after all these cable and magic fuse and AC outlet purveyors of nonsense, with their unsubstantiated claims…. Wow… I’m calling this “Cablegate”. Mark, if I recall correctly, your findings were confirmed by Amir over at WBF. Thanks Joe, I just heard that. The story line that is most revealing to me is the fact that Bill Low, owner of AudioQuest, has admitted he knew about the video when it first came out about a year ago. He has not confirmed if he actually saw the video but he has indicated he was generally aware of the findings highlighted in the video. As owner of AudioQuest, it is truly amazing to me that Bill Low did not investigate the video further at the time to make sure the results were valid in order to protect the integrity and reputation of his company. But he let it go because even though he knew the reported results were highly unlikely, they were exactly what he and others in the industry wanted the the public to believe about expensive audio cables. He has come out now only because he got caught. He knew or should have known for a whole year but did nothing. I’m not saying he’s very smart but he must have know at least enough to realize how obviously absurd that video was. He’ll try to distance himself from it but that distributor is HIS AGENT so he is just as responsible. If anyone wants to buy high quality cable they can count on for performance and reliability, the obvious source is Belden. 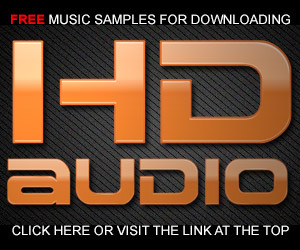 It is the gold standard for the world and it is not expensive compared to audiophile cables. This is what industry relies on and many electrical specifications specify “Belden or customer approved equal.” Belden cannot make outrageous claims the way the cottage audiophile wire industry does, they’d be laughed out of the market by savvy industrial buyers that are their meat and potatoes. Mark, you said that the fraud in high end consumer audio does not stop with wires. I fully agree. Caveat Emptor, buyer beware. A lot of what is on the market depends on your ignorance for its success and is only worth a tiny fraction of what it sells for. And you could build much of it yourself if you had the knowhow for just the cost of parts which are usually not expensive except where manufacturers deliberately buy custom made parts even though off the shelf comparable equipment is available at low cost. This not only allows them to claim exclusivity, it corners the market for them on repairs. They can charge you practically anything. My favorite, the so called passive preamplifier which preamplifies nothing. Just a potentiometer, a few switches, some jacks, and a box to put it in. And it is a really dumb idea from an electrical engineer’s design point of view besides. Nagra preamp, 3 1950s/1960s era dual triodes worth a few dollars apiece and a circuit far simpler than a $10 table radio of the day, price $10,000. Why? You just told the truth. Think of how Bill Low and all of the other manufacturers in this absurd industry must feel now. They’re the ones who should worry. When part of a religious dogma is proven false, the rest of it is under suspicion. That’s why the Catholic hierarchy were so angry at Galileo. He not only disproved the Church’s geocentric theory of the universe, he did it in a way anyone could verify his findings. They didn’t forgive him for 500 years. The high end audio manufacturers probably won’t forgive you for 500 years. Now they might have to hire real scientists and engineers, produce real improvements, and sell products at real prices. Nah, the suckers will still buy the stuff just like they always do. This too shall pass as a one off event. BTW, in case you haven’t guessed, I’m not an audiophile in the usual sense of the word. I hadn’t anticipated the degree to which I would be pulled from my relaxation time into responding and dealing with the issues. I don’t know how anything could be bothering you about this. Usually your statements challenging fallacies become bones of contention and argument. Here you’ve won, point, set, game, and match. Bill Low admitted immediately you were right. He’d have looked like a damned fool to anyone who knows how equipment actually works if he hadn’t. He already looks to me like a crook and a liar but that’s my opinion not just of him but his entire industry. Funny how the right education makes all the difference. Now sit back, relax, and watch the show. The fireworks are about to begin. Excellent post Mark, and I’m enjoying watching the response by both AudioQuest and the mainstream audio press that is financed by them. I just looked up the LinkedIn profile of David Ellington, the AudioQuest employee in the YouTube video. His current job title is Regional Sales Manager for AudioQuest in the South-SouthWest territory, but from 1992 – 2000 he was the Store Manager for Home Entertainment Inc. in Houston, which appears to be the store that made the video. Interesting. I looked him up as well. He’s a central player in this drama. This is a really good catch. Thanks! Isn’t this great? The audiophile hobby has its own JFK-styled conspiracy right down to its own Zapgruder film. Tempest in a teapot. If you can show that there is NO difference at all between HDMI cables of various materials & constructions, then you have an issue. Otherwise the advertiser is just using “illegitimate” means to make it easier to perceive a REAL difference…….which is what advertising basically does all the time. I have two different HDMI cables………& they are different. Then one of your cables doesn’t meet the specifications for HDMI. It’s not hard to compare the data delivered by various grades of HDMI or any other digital cables…and yes, they do produce identical results. “gob smacked”…..and what does the $1000 version do? Funny how when you have no other defense on the internet, your only retort is to call whoever is showing you up a troll. Yes, the measured and informed position challenges the “subjective” POV and contradicts the advertising supported model of the audio magazines. I seriously doubt that anyone would be “gob-smacked” by an imagined improvement in sound by delivering the same bits through an expensive cable vs. the standard cable. It’s all a myth according to my knowledge and research. Thanks I did notice that Amir has downloaded it as well. Obviously no one has heard “anything at any price” and Mark never reviewed the Benchmark DAC in the same context as the Da Vinci DAC. It’s also obvious to anyone who reads this site that Mark and Benchmark’s John Siau are friends. Since we appear to be on an integrity witch hunt, you may to check the integrity of your source. “Because Mark blows his whistle without knowing what he’s talking about, time and again. That he may have gotten lucky this time is of no consequence to me. “If Mark did not have it out for AudioQuest, or if a more rational person had come across the questionable video, they very well might have contacted AQ with their concern and we would not be having this conversation. If pointing out the truth about cables or other equally dubious devices constitutes an “integrity witch hunt” from his “subjectivist” over facts perspective then fine…I think audio consumers have a right to read alternative and more objective reporting. I would have liked to believe that professional sites like Audiostream would appreciate getting some facts involved in its reporting rather than defending an obvious misstep. Yes, I have developed a friendship with John Siau of Benchmark (I knew the company’s late founder and count Rory Rall as a close friend as well), my readers already know that. I am also a professional audio engineer and know the quality and fidelity of the equipment Benchmark designs and manufactures. Their gear has been part of the professional recording world for many years. Your continued “pissed off” attitude and general nastiness speaks volumes about your own credibility. It’s obvious that you and others would have preferred that “Cablegate” never happened. It did. It’s real and makes clear the very cozy relationship between audio publications, websites, and audio reviewers and reporters would would not exist if not for the advertising that companies like AQ purchase. 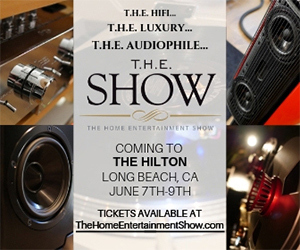 I wonder how many of these advertiser supported audio media outlets have reported on the falsehoods contained in the YT video produced by Home Entertainment by D-tronics featuring David Ellington of AudioQuest. How have you reported on this important “incident”. I don’t visit your site regularly so I don’t know. There has been a strategy to attack the source of the recent revelations rather than confront the issue head on. I applaud Bill Low, the CEO of AudioQuest, for some very welcome and reasoned communication about his knowledge and role in the YT video. I don’t believe we have a clear picture of the production process and who requested the “tweaking” of the audio but at least he’s publicly issued an open letter containing his side of the issue. It’s often very difficult to remain civil in the face of irrational reasoning and personal attacks. But I remain steadfast in my investigative reporting and will continue to challenge the myths being promoted in the audiophile world. I trust Benchmark, why would they want their wonderful product to perform poorly. Thanks very much for your comments…this about says it all doesn’t it? People who live in glass houses shouldn’t throw stones. I’ve seen people asking you to sit down for a controlled evaluation session but yet you won’t do it even though you could slam dunk it according to your own claims. And yes you have something very much to prove IMO. I just opened the Lavorgna page at audiostream (won’t dignify it with an address), and first thing I see across the top banner advertisement? Not sure if I need to say any more? Thanks Grant…that about says it all. Well Mark, it looks like your original posting on the AudioQuest video really opened up a Pandora’s Box here. I posted a comment on an article by Lavorgna in Audiostream regarding Sony’s (Expensive) Audiophile microSD Card and questioned whether Audiostream could publish objective content to their readers that is unbiased and educational and at the same time not be in conflict with the business goal of maximizing advertising revenue. The posting caused Lavorgna to personally email me with this threat: “While I love unfounded conjecture as much as the next guy, consider this your first and last warning. If you continue to make stuff up at my expense, your account will be blocked.” At that point I knew my “conjecture” was spot on. He personally emailed me this week regarding my comment on Stereophile on this subject. He must have lots of time to send out emails when listening in the Barn. At this point I don’t think the purpose of online audiophile publications like Audiostream is to provide helpful reviews and guidance to their readers, supported by online advertising. Instead, they are first and foremost advertising engines for companies like AudioQuest and Nordost, supported by bogus “reviews” and republication of company press releases. Q. What cable interface should I use? of bits. Since all of them can do that I don’t expect any sonic differences. Just like Benchmark – and the DAC designers would know. As I write this posting I see a new posting just got published on Audiostream by Steve Plaskin, a guy who loves everything from Synergistic Research, on the new $700 Wireworld Cable Technology Platinum Starlight 7 USB 2.0. A glowing review of course. And on the right side of the page is an ad from Wireworld. Along with three distinct ads from Nordost, the guys who sell $10 cables for $1000. Really not too hard to see the pattern here is it. Thanks for exposing the BS here Mark, and keep it coming! Thanks for sharing this very insightful comment. I believe you’ve called it exactly right. The Audiostream website is not alone in continually pushing their advertisers agenda but Michael is particularly aggressive when anyone…including me…calls them on it. I have plenty of private emails that mirror what you’ve shared. He takes contrary positions as personal attacks. I don’t bother to visit the site and it doesn’t get sent to me any longer. Prove it. Show me one instance where I pushed an advertiser’s agenda. If you cannot prove this silly claim, and you will not be able to since it is not true, I’d appreciate a retraction and an apology. Can you point to one online or printed audiophile publication that reported on the fraudulent YT video and its ramifications? I’ll wager not. The only thing I’ve seen is the open letter from the CEO, where Stereophile let William Low explain his pov. “Appearances? It’s OK to be wrong, Jim. The important thing is once we learn we are wrong, and you most certainly are, is to admit it. You may also want to apologize since your accusations based on appearances reflect directly on my character. And that bothers me, Jim. You never responded so I sent you an email explaining that if you continue to make unfounded claims I would block your account. That was not a threat, that was a matter of fact. How are the “unfounded claims” about audiophile devices, cables, and accessories that you continually make…shouldn’t you be blocked from your own site? Avoiding facts and science in favor of subjective pseudo science places many of your reviews in the “unfounded” arena. Amirm over at WBF says he has a copy of the video as well. So you both could supply it to AQ if they are interested. Compliance means that the cable – length limited – (and appropriate equipment connectors) shall have no effect upon the signals being transmitted. Even if changing the conductor plating or material or changing the type of wire insulation did have some effect, wouldn’t one expect that the world’s largest wire manufactures would adopt and offer such cable? Making special wire, esp in small amounts, does not make sense and is not economically feasible. And please note, Belden does not believe a cable carrying AC current has a preferred direction. Thank you, Mark, for your vigilance. Mark, keep on poking holes in the magic. Let’s all get a dose of skepticism over claims like this. And remember that “A Bullies Hots Link” is what we’re fighting against. Stick that in an anagram solver and have fun listening. This only goes to prove what I’ve said since the first time I saw these ridiculous products. Anything your audiophile wire can do, my equalizer can also do and it can do a lot more. It’s more predictable, controllable, and cheaper. So the first thing this bogus industry had to do was convince audiophiles that an equalizer will destroy the sound of an audio system. And for audiophiles who wouldn’t know the sound of their brass from their oboe, it probably will. It is far too powerful a tool to put in the hands of untrained ears who don’t know how to use it to advantage. 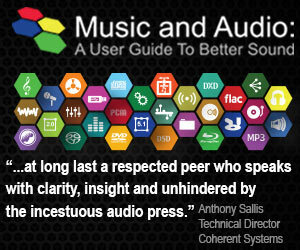 Audiophiles are usually among the worst critical listeners I’ve met. And the magazine reviewers are among the worst of the worst. If this situation were to occur in a classroom, it would be termed academic misconduct and there would be consequences. If this situation were to occur in a research lab, it would be scientific misconduct and there would be consequences. However, because it occurred in audio advertising it becomes buyer beware. It’s too bad pharma companies can’t use this strategy to pad profits. IMO the whole audiophile wire industry is one big fraud. Wire is electrically nothing more than a distributed parameter filter network. If you are worrying about shielding, it’s easy enough to make a shield yourself out of a length of bare wire and aluminum foil. If you don’t believe it, obtain some shielded Belden signal wire of any type and cut it open. That’s how industry does it. Do NOT try to shield power cords. Power cord ampacity is rated assuming it is in free air. Restricting heat dissipation with anything around it risks a hazard of electric shock and fire. If you buy a shielded power cord, be sure it is UL listed. That’s the only way to know it will be safe. Don’t defeat the safety ground pin. It could one day save your life. Bill Low said he is waiting on getting the video from you Mark. Just putting this here in case you weren’t aware of that. No need to even approve it for posting publicly. I’ll be sending it to him later today. I had a very similar discussion with Mr. Lavorgna when he had reviewed costly Ethernet cables. The answers were so empty of arguments, that I do not want to repeat them. He will never ever confess, that he was/is wrong. Using cables with a preferred direction where a bi-directional protocol is used – makes no sense to me. I was involved in the installation of a so called super-computer here in Germany where I live. All we were looking at was that the cables we use met the specs and believe me there was not a single one costing a kilo-buck for 1 meter. It is interesting, that the system works fine till today. Please keep on your work. Thanks. 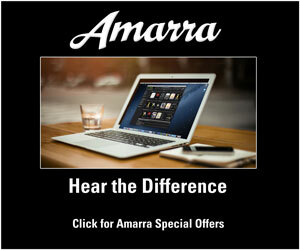 I understand that writers/editors at audiophile websites have a vested interest in the status quo. However, the “subjectivist” POV and rejection of engineering or technical realities by Mr. Lavorgna and his very nasty and aggressive tone to me and others in the face of facts diminishes his position in the industry. I don’t read what he has to say and ignore his rants. I hope you were able to enjoy at least part of your vacation! As far as I can figure, I’ve been responsible for the purchase and installation of at least two million dollars of other peoples’ money worth of wire and cable in my career, maybe a lot more. These included more kinds of wire and cable than I ever knew existed and I barely scratched the surface of what’s out there. Not one inch of it was audiophile cable, I’d probably have been fired had I tried to buy something like that. Even though a lot of it was used for signal and power to some of the most sensitive electronic instrumentation in the world at the time of its installation, I never had any problem with any of it (except for some defective wire that managed to take out some sub metering equipment I installed.) The mainstream wire industry is neither stupid nor indifferent to the market’s needs. Some like Belden will manufacture to your specifications if they don’t already have a suitable product in their vast lineup. The mainstream industry has provided products for every conceivable need at very affordable prices. This is what industrial specifiers and buyers like me rely on even where money is not a consideration. BTW, there are some manufacturers of equipment who will not stand by their published performance specifications if the signal wire used to connect it is not Belden. Where did you “discover” anything about the USB Regen that supports your claims of “snake oil”? Last I read, you had two people over and both heard a difference with the Regen device. Since you also claimed, prior to that listening session, that I was supporting “snake oil” in my review of the Regen, I’d be interested in any proof of this claim. The first of my quotes in your response, “Mark gets ‘booted’ (his words) from the CTA Audio Board so he turns that into a badge of honor by playing the evangelical outsider. Pathetic.”, was not from the email thread that Bill Low started, which had 92 recipients. That quote was a response to someone on my personal Facebook page. Finally, you never addressed your falsified “review” of the Benchmark DAC. You clearly misrepresented the truth by comparing the Benchmark to the Da Vinci since you never reviewed them (the reference to the Da Vinci DAC was recently removed– why?). The importance of this fact is you have no qualms misrepresenting the truth in order to help sell some of your friend’s DACs, while making unfounded claims about my character and integrity. My “pissed off” character speaks volumes to how pissed off I get when people like you make false claims about me. And you continue to do so. Based on my own knowledge and evaluation of the Regen device that was set up in my studio (but was not A|B|X tested), I found there was absolutely not alteration to the sound. I wrote about the session we held at my studio and it’s true that both audiophiles present stated that they heard a very slight change in the sound. I disagree with their assessment. I still regard the Regen as an unnecessary audiophile tweak. I’m afraid you’ll have to prove that it works to convince me…I’ve done my part and it failed miserably. A waste of money based on bogus science. I found the quotes in my comment from the email thread. I haven’t visited your personal FB page. I have never falsified my evaluation of the Benchmark DAC or denied my friendship with John and Rory and the company. You can spin a conspiracy any way you want, but I’m comfortable with my representations. The Benchmark DAC2 HGC is among the very best DACs in the world at any price. Its specifications and sound are absolutely stellar. You are evading my questions Mark. The fact that two of three people heard a difference with the Regen in your ‘test’ is not something you can slough off. As I pointed out before here in the comments, you failed miserably in understanding what devices like the Regen, AudioQuest JitterBug, and Schiit Wyrd do. You also discount the countless testimonials in support of these devices by owners, reviewers, and the engineers who designed them. On your falsified Benchmark quote, you never *reviewed* the Benchmark DAC and the Light Harmonic Da Vinci DAC, yet you allowed Benchmark to use your quote saying you did. You can call that whatever you’d like. If any reviewer ever did this, lied to support a friend’s product, you would surely be calling fraud. Own up and explain why this behavior is OK for you and why your quote was recently edited, removing the reference to the Da Vinci DAC. You have not heard all DACs at any price. Not even close. Further, you have never had even a significant percentage of them in your system to do a direct comparison. So again, your claims of an informed comparison are meaningless. You don’t ask question Michael. You assert your position in defense of your site and posts. The Regen is a product that does nothing based on my own listening. That’s the end of that story as far as I’m concerned. I have lived with, used, and reviewed the Benchmark DAC and have listened to evaluated most of the high-end DACs at audio trade shows. You are flat out wrong when you say that I “lied” to support a friend’s product. 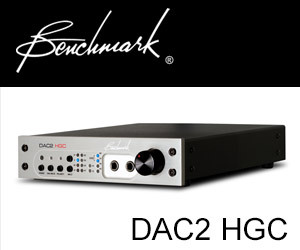 The Benchmark DAC2 HGC is that good on its own merits. I didn’t extract the quote you mention and I didn’t alter it. As usual, you are lashing out without getting the facts. But I’m getting used to your unfounded accusations. It is kind of funny to see that your only objection seems to be Mark, not the obvious falsification in the video. It was so obvious that i was gonna do the same analysis than Mark, something was so off in that video..
Ok, start aiming your guns at me next.. I did another analysis (well, to call it that is not true, it was just crude, fast level check, 5 minutes job), this time on Synergistic Research. I know, it is not conclusive but imho, enough to warrant better analysis. It is my estimation that in this video, the sales rep introduced 0.4dB gain after each test (either that or they turned up the camera mic gain by that amount, noise in the video is too great to make accurate readings). The results were correlated by LUFS readings and i also checked that it isn’t in the source as raising level due to song structure. The video actually clips in to 0dB the last example, making this even more worthless, thus we see the DAW reacting to this and applies a bit of peak shaping, i do trust that the +0.3dB reflects reality in the case we didn’t have clipping. I am audio engineer… “0.5dB increase in loudness is felt as better fidelity”-trick jumped right out. In fact, even non-trained eye can see the difference in the pic waveforms, first track is the test without syn res. acoustic treatments, second is medium level treatment and last is their full shebang. It is my professional opinion that if acoustic treatment is added, total SPL will not increase. So seeing even slight increase should mean that there is something else happening than acoustic treatment. I claim the “secret” is in the remote the sale rep holds at all times and this had been confirmed with other customers that this is truthful look at the synergistic research demonstration procedure..
BTW, the clips are not synced in this pic, it is re-arranged to fit the three clips in one page… So it is not a pic from actual level comparison test, the meter hasn’t been reset after that. The average peak was -0.7dB in the first clip, -0.4dB in the second and +0.3dB in the last. It is also notable that the camera is pointing almost 90 degrees off-axis but i feel that this actually does represent the room sound better, which again, we should see dropping in SPL, not increasing. The Open Letter from Bill Low, which was published on the Stereophile website, contains a link to your post in the second paragraph. I’d imagine you’ve seen a nice spike in your traffic due to that link. In order to report on the video, any real reporter, especially one calling them self an “investigative reporter” as you have done, would have gathered the facts first. I’m looking into this matter and I can tell what I have found out so far; your quote “the truth is bad for commerce” which you claim is from an email exchange with an AudioQuest employee does exist. You made that up to support your demonetization of the company. Reviewers and writers, like you, haven’t even begun to address the issue presented in the fraudulent YT video. I can only wonder why? Putting the open letter from Bill Low doesn’t speak to the incident from a journalistic perspective. Funny how all of the sites (except Audioholics and WBF) have ignored the core issue raised by the revelation that someone felt it necessary to fake the results of a cable comparison. I would have thought that was newsworthy. The fact speak for themselves. As for “apparently fabricating” a quote from an AQ employee. You’re right…it does exist (although I think you mis-typed your real intention). The exchange was with Steve Silberman of AudioQuest from a series of emails concerning what is and what isn’t high-resolution audio. His position is that by not including standard-resolution CDs in the CEA/NARAS/DEG definition, “it’s bad for enterprise” (yes, I didn’t recall that he says “enterprise” vs. “commerce”…my bad). This would have allowed customers to realize that it would be easy to at least get back to a baseline. Can we be done now? I’m not really interested in arguing with you any longer. Most people outside of the board disagree with the current stance on CD quality being left out. It’s bad for enterprise. I referenced Steve’s position because it’s indicative of an attitude that waters down the chances for consumers to get the facts about “hi-res” music. By excluding CDs from the new HRA marketing push, Steve asserts very plainly that it would be bad for business. I didn’t “apparently fabricate” that quote…what would be the point? I reported on an actual conversation. Every review of any experience is by its nature subjective. If you find this of no use, fine. The reason for my response was simply to put SkiKirkwood’s comments into the proper context. So you’re basically expecting your readers to trust your “unfounded claims” while you reject others that post opposing positions. Great. I just wanted to stop by and thank you for airing this issue. I saw it first at AVS then HomeTheaterShack and then Audioholics. The cultists are in big denial, the shills and trolls are still hearing the differences. Incredible. It reminds me of the old Monster display stuff. I’ve always felt Audioquest is pretty slimy, pretty “Low” so to speak. Thank you again. In order to show support I’m going shopping on your site next….